Owned and operated by Brad Yelton, with over 20 years of experience under his belt, Top Tech Heat, Air, & Electrical is a full service air conditioning, heating, refrigeration and electrical contractor in Oklahoma and Texas. 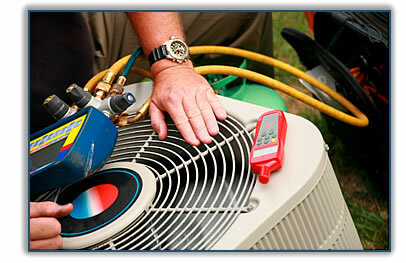 We specialize in the ability to repair, service and install complete heating and air conditioning systems. As well as any commercial or residential electrical or refrigeration needs. From repairing existing equipment & scheduled service checks to installation of new equipment, we try to help in as many ways as possible. We’ll even find ways to reduce your energy bills & we can service or repair all brands of air conditioning and heating systems. We pride ourselves on offering the highest of quality service for a competitive price point! If you find the same quality service for a cheaper price, we’ll match it. We want your business; we believe that assisting a consumer in need is worth more than profit margins.